Throughout her life, Heather has always sought to be a faithful and safe friend, someone with whom others could share their joys and troubles. During childhood, the events surrounding a traumatic loss confirmed a trajectory for her life: to offer compassion and real-life hope to others through listening and lovingly engaging in their lives. Heather’s desire to walk deeply with God and others has given her many opportunities to face destructive relationships personally, and through them to gain wisdom. In 2000, Heather began her professional career as a nurse which led to a deepened passion to become equipped in caring for the whole person. Several years later (2007) she completed a Masters in Counseling, followed by a certificate in Spiritual Direction (Soul Care) as well as Coaching. 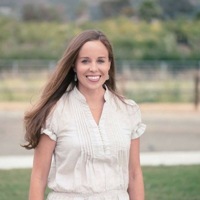 Heather has been mentored by Leslie Vernick since 2006 through her writing on destructive relationships, and more recently through involvement in Leslie’s training programs. As a Coach on Leslie’s team, Heather is compelled to bring to bear all that she has learned by coming alongside women who need help living their best lives with freedom, hope and joy. Eunia is a licensed counselor who helps women and men in difficult and destructive relationships to heal and grow. She has witnessed the far-reaching impact of undetected and unrecognized abuse both personally and professionally, and has seen how difficult it is for those who struggle in this way to find the support and real help they need. She also knows God works in the intricate details of a person’s life to bring hope and restoration. 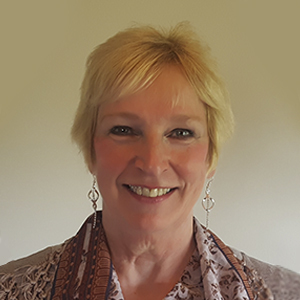 As a life-long learner, she has self-studied under Leslie and other marital abuse experts for many years, completed a 40-hour domestic violence training, and received Leslie’s direct supervision since 2016. She finds it a privilege to help women and men become relationally healthy. When she’s not wearing her counseling or coaching hats, she loves watching more than one movie at a time, eating fun snacks, and laughing and having deep conversations with her husband, friends, and family. She also obsesses over dogs, including her own cavapoo, Wynnie. 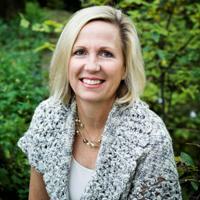 Jeannie is an ICF certified coach helping Christian women navigate difficult relationships and rebuild on solid ground. She has been married for 30 years and is the mother of three young adults. Raised in a dysfunctional environment, her current life and now healthy extended family are proof that God heals and restores. Her past scars and strong faith equip her to see through the masks we wear to encourage and strengthen the wounded heart that lies beneath. Jeannie has also been an Electrical Engineer, Home-schooling Mom, and Bible Study Fellowship Teaching Leader. She has been working with Leslie since early 2018. Elise believes passionately in the Greatest Commandment that God has called us all to love him, to love others, and to love ourselves. Matt. 22:35-40. For many years Elise expressed that call in lay ministry and service opportunities, working mainly with women or the marginalized. It wasn’t until later in her life, with children nearly grown that God opened up the opportunity for Elise to show his love and compassion toward others as a professional counselor. Whether working with individuals or couples, Elise’s counseling niche has always been relational in nature. In 2015, Elise began her work with Leslie in the EQUIP mentoring program. 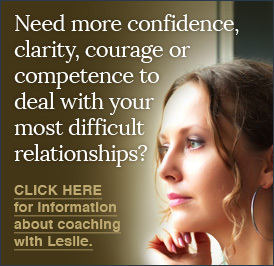 Leslie’s teaching and supervision have further prepared Elise to counsel and coach those who desire to thrive in the midst of very difficult and destructive relationships. When Elise is not working she enjoys spending time with her husband of 35 years, playing tennis, or visiting the beach with her grown children and building sand castles with the next generation of strong, brave and Godly women, her 3 granddaughters!. 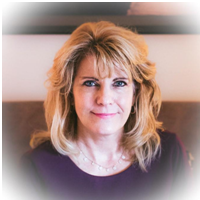 Diana is a Licensed Professional Clinical Counselor with a heart for women who are hurting, confused and experiencing the pain of destructive relationships. Having experienced these dynamics personally and professionally, she seeks to empower and educate women toward awareness and truth. She has been married for 27 years and is the mother of two young adults. Diana has been receiving instruction and training under Leslie Vernick since January 2016. It is her souls desire to champion women who have been scarred by destructive relationships and whom desire to see clearly, live strongly and walk boldly in faith and the truth of who God has designed them to be. In her spare time, Diana enjoys walking her dog, kayaking, reading books that inspire and occasional trips to the beach during Ohio winters. After 35 years of marriage and raising a large family, Kim found herself divorced, scared and vulnerable. Today she works as a coach who comes along side and helps women who, like herself, need financial wisdom as they try to navigate the troubled waters of finances. She has taught Foundations in Personal Finance, a high school curriculum by Dave Ramsey’s organization. She also has lead many Crown and Financial Peace sessions. In 2007 she became a Dave Ramsey trained coach. 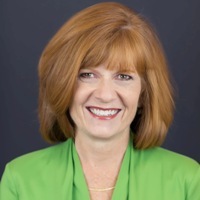 Today she belongs to a Mastermind group of Financial coaches, Coach Connections.In 2007 as she began her coaching business, the stock market dropped and many were losing their houses. 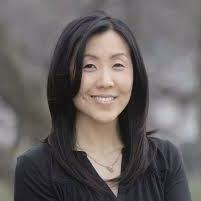 Simultaneously Kim’s family was facing its own challenges as her husband was becoming more violent. Overwhelmed by her own struggles and misunderstanding of the scriptural position for divorce, she turned to the Lord for help. She found Jesus had answers in His Word and in books like Leslie’s, The Emotionally Destructive Marriage. Today she brings the wisdom of these experiences to Leslie’s team to help us learn to refocus on true wealth building, gaining control again and putting a personalized plan in place.